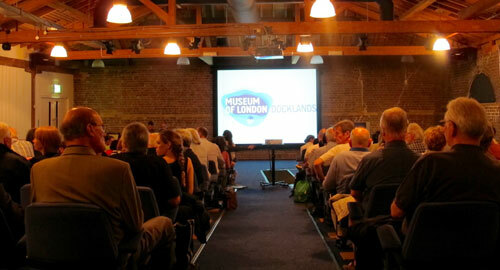 On Tuesday July 14th the documentary made by the children with digital:works was launched at the Museum of London Docklands. The children presented the film to an audience including lightermen, historians, curators and people from local history organisations. It was a really lovely event, presented by the children, who spoke about the project, showed the film, read a poem inspired by the project and took part in a Q&A. We even managed to fit a sing song in. Thanks so much to everyone who came along. 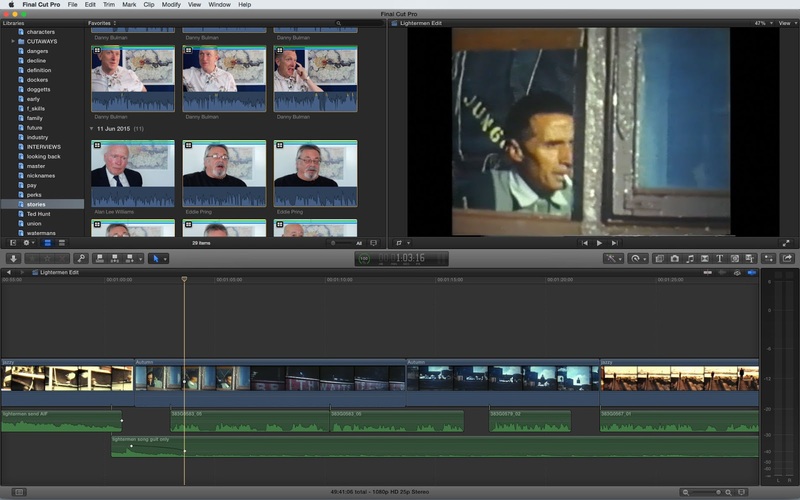 We took the first draft edit of the film into Westminster Cathedral Primary School to get some feedback today. The overall reaction was very positive with some good constructive opinions on how to improve it. The main ways to improve the first draft was to make it shorter; to keep the current themes but to trim them down a little to avoid any repetition or reiteration. 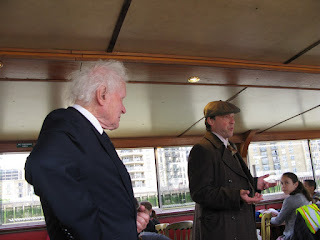 It was also felt that some of the reminiscences were a little too technical and these could be sacrificed to enable us to keep some more funny stories about life on the river and this needed to include the re-introduction of at least one story about pilfering. To add titles to the sections. To include the interviewees nicknames in their lower thirds along with the year they were apprenticed. It was felt that the closing credits were scrolling too fast up the screen. We discussed that the Community Channel insist on credits being no longer than 30 seconds so it was agreed to make them longer for the DVD and website only. Life on the Thames Peaceful Clean Tranquil Neat Heaving in circles Breaking a sweat But my work lies on The river Thames Clean skies Open wide Hope that I will never die Listen carefully Seagulls screeching The river Thames Calling for me Working all day Rowing all night Wishing Wanting For my payday rights Young we start old we end Our lives are different We’re first young Like the river Then done like the river Polluted Dirty Noisy Ugly The river is a monster Rubbish it is No work is available The Thames is gone I already died Listen carefully Seagulls screeching The river still calling for me Wishing Wanting For the river again Working years, 10 It’s hard for a lighterman Jonathan. Dear Diary, Pouring and wretched it was today. Never have I witnessed such an ominous catastrophe in my entire apprenticeship. Seeing death himself before my very own eyes has caused great devastation upon me. For this day will haunt me for the rest of my life… Yesterday… Sharpened rain clattered viciously onto the metal roof of the tug as the black blanket covers the night. River Thames eerily whispers in the distance underneath the white pearl in the sky. I pulled thick and rough ropes to tie on the barges consequently causing tough callouses on my palm. Weary and feeble, I stumbled to the last barge on the left corner. Shedding a few tears of agony and distraught. Screams and shouts. Distant memories of my family dying 5 days ago in the deadly bombing. Wishing I could be with them. With the raging war transpiring it shouldn’t be a problem. Bill and captain are in the tug boat having tea whilst discussing funny moments in their lives. My funny moments were with my family, ha especially John. After 7:00 I read a book for 15 minutes before returning to the tug boat; to finish of my duties. Suddenly however, as I neared to the edge of the tug a bomb exploded nearby forcing the boat to tilt over. Drowning I swam up to the surface in search for air. Realising, yet again, I am isolated and by myself… Bill and captain didn’t make it… Poems Who I am Who I am Everyone knows me Yet No one knows me Working long hours Rowing all night I have no sleep in my might A day’s work finished I head to the pub Drinking Dinking Then Drinking Work’s hard But I will never hate it Love what I’m doing Otherwise why would I be doing it? Years on the river Years My only mate: the river Swish Swish Calming Love being a lighterman Jonathan. Dear Diary, Today was a bone breaking day. Lots of cargo to deal with, I had sacks of coffee, barrels of rum, crates of fruit and bundles of tobacco. I had to take it to Tilbury. Tilbury I ask you! I was in West India Docks at the time but when I arrived I found out that one bundle of tobacco was missing. The warehouses were expecting 28 but they only got 27. Someone’s thieved it. It was fresh. It’ll cost a lot of money to get more. Today the year 6 film makers interviewed a lighter man –named Alan Petit, aged 74 – he had lots of interesting stories to tell us and these are a couple of stories the crew have told me. 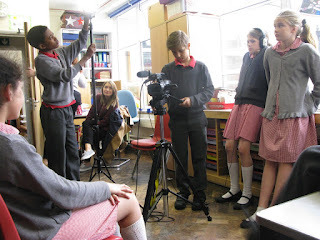 On Thursday year six (filming group) had to learn camera skills and had to interview two people on set. We had learnt how to work with sound. We worked with gun microphones and mini microphone. Mini microphones are pegged on to your shirt a few inches away and they help to make there person who is speaking louder. Gun microphones are used for outside. We watched a video of an actor comparing them overall I think they are good in their own ways. We also interviewed two lightermen there name where John and Dave. John's stories where excellent his wife came along with us and they showed us pictures of weather conditions of how Lightermen / Waterman/Dockers worked. Also she showed us a picture of the horizon that showed us how long Lightermen worked! It was an amazing experience! I really enjoyed it we had another waterman / lightermen come in called Dave. He taught us something new! People in the class had thought Dockers and lightermen where not best of friends but he told us that they always had worked as a team. So far I have enjoyed learning about lightermen. 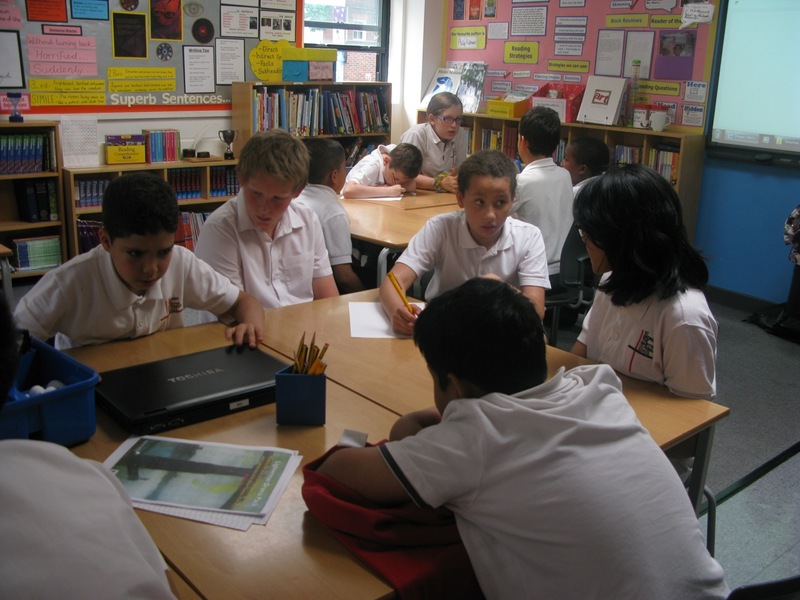 Today year 6 wrote questions which we would later ask the lightermen coming in the next day, while interviewing them. Firstly, we had to think of themes, all together the class thought of about 21 different themes. For example: thieving, family and WWII. We then put these themes into questions. The questions had to be open with multiple answers possible and that could also tell us a lot about life as a lighterman. For example: Describe how it felt when you started your apprentiship? Over all this was an interesting day as we thought about things lightermen would have experienced during different times in history. 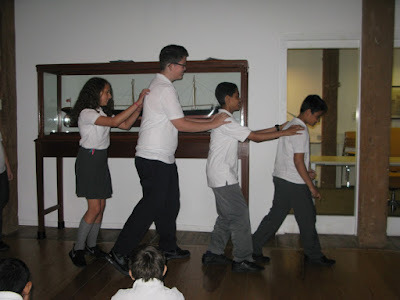 On Tuesday we had a wonderful time at the National Maritime museum. We saw a range of artifacts including paintings of the Thames and model ships including a huge battleship. We went to see the curator who told us about London through the years and international trade. We were lucky to see a royal barge that actually belonged to King Charles II we also learnt that many watermen and lightermen lost their jobs as more bridges were being built. During our visit we learnt that King Charles sent people to press gang watermen into joining the navy, However Doggett’s race winners could not be press ganged into joining the navy. We also saw a very famous ship called the Cutty Sark which was the last of the tea clippers. In conclusion, we had an amazing day at the museum and we would love to return to this historical building and we learnt a lot from this museum. 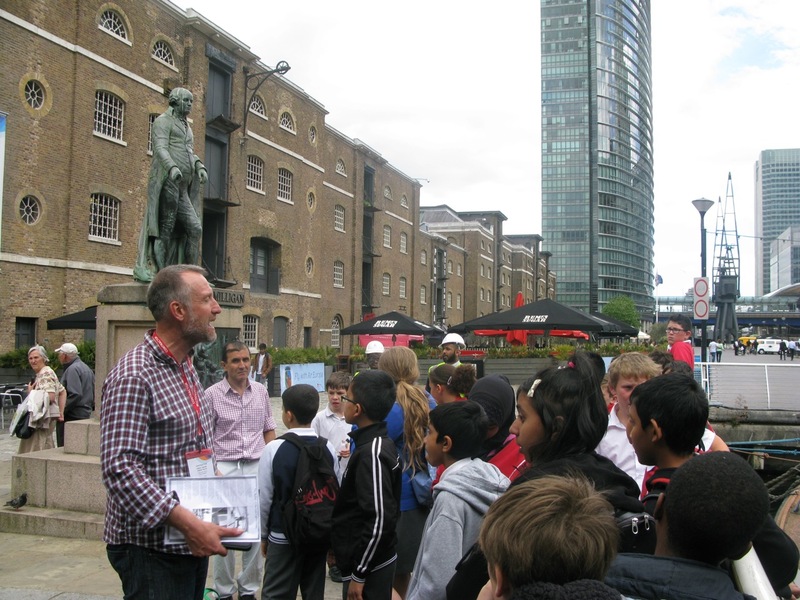 On Monday 15th June, year 6 visited the London Docklands museum as part of the Thames lightermen project. After a long journey, we arrived and settled in quietly. To get us prepared for the following activities, we did some warming up exercises and played fun games with an actor called Will. As soon as we were warmed up, we were told to watch the adults perform a miming scene from the time of the watermen and lightermen, which took place in the 18th century to the mid-19th century. This was an example of what we were going to act. We learnt that the watermen and lightermen were distraught at times especially when they were being paid unfair amounts and having very few customers/cargo. Separated into 6 groups, we mimed different scenes from a particular time period; the blitz, 1750, the lightermen strike of 1972 and many more. Waiting to act in front of our class, we silently witnessed the beautiful miming skills of our classmates and performed amazingly. 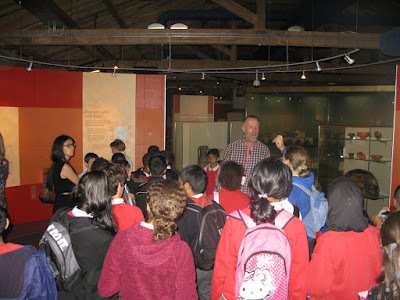 In the afternoon, we viewed the rest of the museum and were wowed by the ancient artefacts. Our class loved looking at the angelically designed boat models. 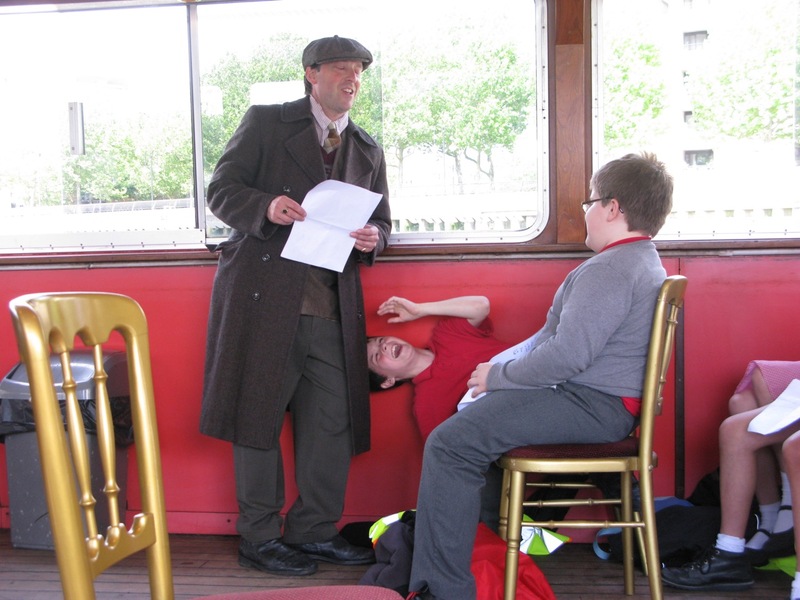 Year 6 had fun learning about the lightermen as they were very popular; they were weekend millionaires and blew their money on expensive cars, rich clothes and drinking in pubs. Lightermen are extremely hard working because they worked overtime consequently earning lots of money to use in the weekends. Fortunately for the lightermen in the late 18th century to 19th they earned considerably more money than the past. Overall, we thoroughly enjoyed our educational visit to the London Docklands museum and look forward to future visits. 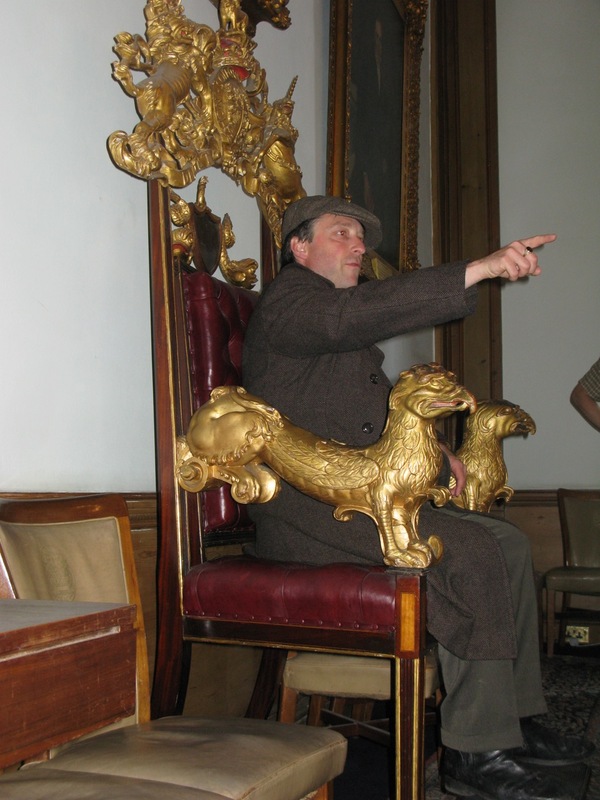 We visited Waterman’s Hall on Friday 5th June 2015 to participate in a range of activities. 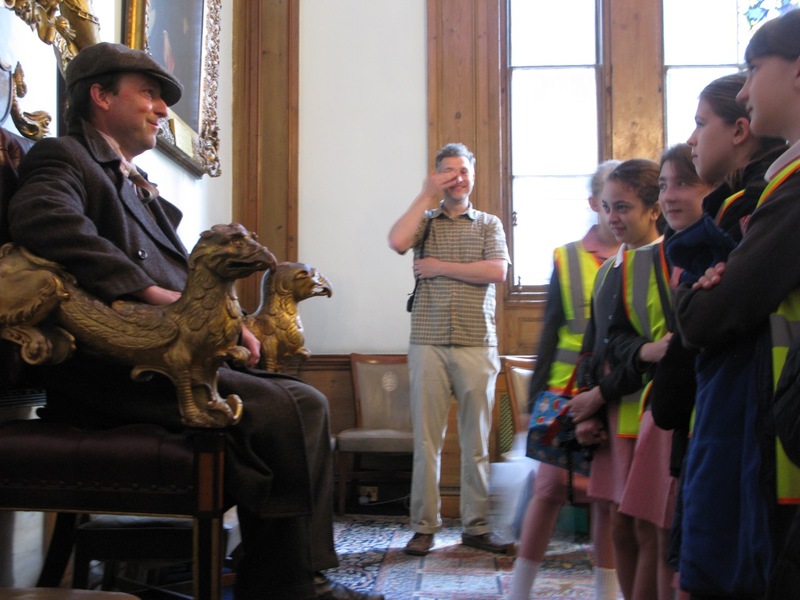 After a long journey year 6 settled into the hall accompanied by Peter Daniels, Sav and Matthew. Firstly, to help us understand the topic, we watched a video to give us an overview of the Thames Lightermen and Watermen project. After watching a video, we discussed the topic amongst ourselves then separated into groups. We went inside the Waterman’s Grand Hall where we met an actor called Will playing a lighterman called Bill Lindley, he told us all about the Lightermen’s and Watermen‘s trade and described what would happen when a nervous apprentice would meet the master of the Watermen. The final stage of an apprenticeship leads to the apprentice being honoured for completing the apprenticeship of 7 years. The experience can be daunting at first but hopefully in the end you will pass the test or shame could be bought upon your family. In conclusion, we learnt many things about how the Watermen traded and the hard economic and social difficulties they faced. 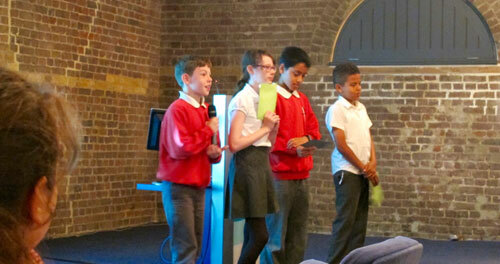 We had a brilliant experience we all learnt a lot and would love to come again. On Friday 5th June 2015 the St George the Martyr year 6 class were lucky enough to ride a boat along the Thames. We participated in a range of activities that a lighterman would have to complete on a daily basis. All of us played a game called, "Who Wants To Be A Weekend Millionaire” this refers to how lightermen were considered, “Weekend Millionaires” as they received a large pay check on Fridays which was later spent at the weekend. This is an example of a mnemonic, the first letter in each line is the first letter of a bridge. While learning these interesting facts our class had an opportunity to admire the beauty of the river Thames. We travelled all the way out to Greenwich. As we passed through the river, we saw many bridges which we went under. The experience was overall an extraordinary day, which we will never forget. My group and I were chosen to film interviews to turn it then into a documentary all about lightermen. We (me, Callum, Sarah. W and Sara) interviewed first a man called Mr. John Daniel, Peter Daniel's father. 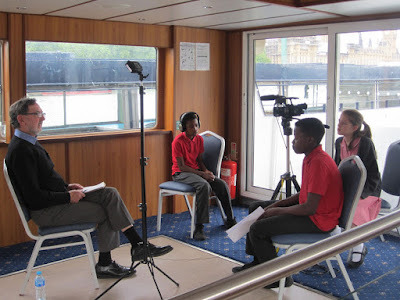 He told us about his working life on the River Thames. As a Former lighterman he could tell us all we would need to know about the river. He sensed that the river was in his blood since childhood. Since he lived right next to it, he felt like he was being pulled to it like a magnet. Although his dad didn’t originally work on the Thames, he felt that need for the water every day. His dad was a marine engineer, but that didn’t let John’s hopes get low and although his father wasn’t his master, nevertheless he passed his apprenticeship and became a lighterman of the River Thames. The story that he met his wife is actually quite funny. He had just earned his wages and had gone out with one of his girls on a yacht trip out on the lake when she had fallen in with no clothes to change into so they both went into a small pub which is right next to the O2 now. When she had dried off, John had taken her home and they started going out until they married. Then he had three sons which one of them turned out to be Peter Daniel who work with us and mentored us. A new day dawns, another cold February morning commencing. The penetrating bitter wind chills me to the bones as the river punches fiercely at my boat. Beads of sweat trickle down my forehead whilst I heave yet another hulk of cargo, the pride of my master only urges me to work harder. The drone of men rushing about along the docks buzzes in my ears. For generations our hands have been battered by the cruel weather. The Thames runs through our city, it courses through our blood. We powered the city and kept it flowing, our jobs all but gone. The lighterman job started over 500 years ago when King Henry VIII was ruling. The lightermen would take cargo off ships that couldn’t go past the first bridge (London Bridge). Lighter men didn’t use engines to move the boat across the Thames. They used the power of the tide and oars to move the boat across. You were able to become an apprentice lighterman from the age of 15 and then in 7 years you would take your test to become a lighterman. You would take the test in Waterman’s Hall. If you failed the test then you would take the bus home and that would be the end of becoming a lighterman. And you wouldn’t want to upset your family or your ancestry of lightermen. Your master was probably your father and taught you everything about the Thames River, so that you could become a lighterman and work with your family along the Thames River. The lightermen would get quite a lot of money for their work. They would buy fancy clothes, cars and would be called the weekend millionaires by their girlfriends. The lightermen would go to theatres and many pubs to spend their money in. Some lightermen had trouble remembering the bridges so they would make up a mnemonic to remember the bridges by. One was ‘how pleasant are very long worms when brothers lend them’. That would stand for Hammersmith, Putney, Albert, Vauxhall, Lambeth, Westminster, Waterloo, Blackfriars, London and Tower. But there are many different mnemonics that you can make up. If you would fall in the Thames and you were a lighterman then you would have 10% that you would survive because the water is filled with paint from boats and is poisonous, also you would be wearing big heavy clothes that would pull you down. It would be hard to swim in those clothes. If you were to fall in the Thames then you would have to go straight to the hospital, to get your stomach pumped, to get any water you swallowed out of your body or you may die. 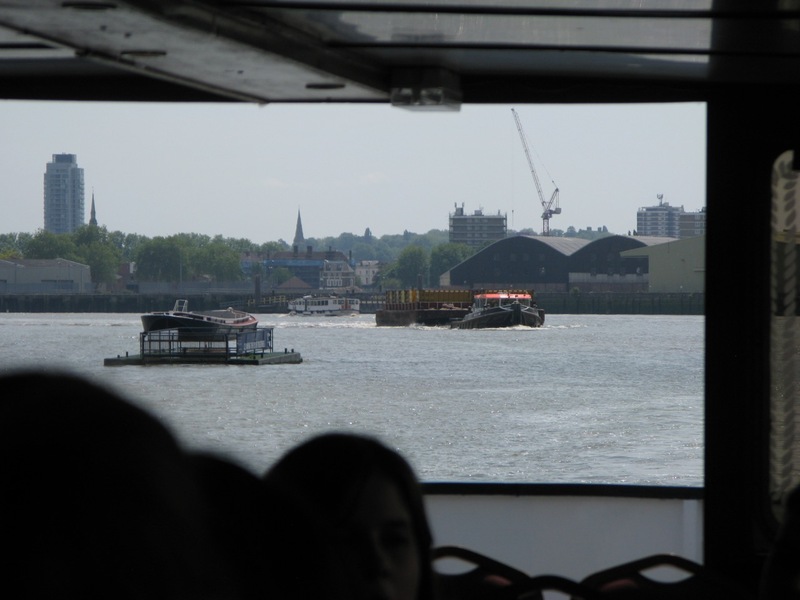 On the 500 year anniversary, there was an event which was the unveiling of a plaque on the Thames path to mark the location of the first Watermen’s hall. The plaque is located just to the east of Cannon street Railway Bridge. Alan was a lighterman from the age of 15 and worked as one for many years. Over this time he gathered lots of stories about his time on the river. One day during winter Alan was trying to get onto a barge and thought he spotted a pontoon so he tried to get onto it but it was actually a shadow and fell in the River Thames. This was very dangerous because the water was highly poisonous, so poisonous that it took paint off of the ships and if you fell in there was a very small chance of surviving and if you did survive you would have to get your stomach pumped he also had no life jacket just like all lightermen at that time. He also had really heavy boots which made it more difficult to get out of the river. He got very lucky because a police officer saved Alan and the officer gave him a sheet of paper telling him he had to go to the east of London to get his stomach pumped but he did not go because he did not like the sound of getting his stomach pumped. On his way back on the tram the conductor said he should sit down and then he told the conductor he fell in the river Thames and then everyone jumped out of their seats and said he could have their seats. When he got home he told his sister he fell in the river but he only swallowed a little bit of the river water. After that his sister gave him some medicine which meant he did not have to get his stomach pumped and then eventually he got better. Alan talked about what it was like to stand in front of the master at Waterman’s Hall. 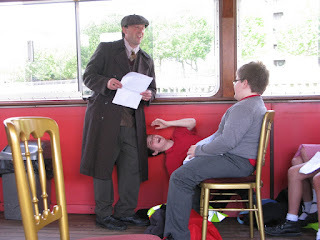 He said it was very scary because the Master asked lots of hard questions about being a lighterman. Often your master would be your father and if you got questions wrong you would fail the test and disappoint your family. He had plenty of money as he was paid very well. At the weekends, lightermen would spend their money on flash cars and fancy clothes. Alan told us how he bought a 1930 Austin 7. Alan told us he was extremely fit when he was a lighterman as the work was very hard and tough. It involved lots of lifting cargo, tying ropes and steering the boats. When Alan left his job as a lightermen , he worked hard to educated himself and he even managed to get a scholarship from the R.A.F to attend a university in Oxford. His nickname when he worked on the river was ‘Shakespeare’ as he loved to read all of Shakespeare’s plays. At Ruskin College he studied politics, philosophy and economics and he later became a member of parliament. Alan was a member of parliament from 1966-1979 and during this time he fought hard and campaigned for lightermen’s rights as it was a cause very close to his heart. L ong difficult hard working hours. 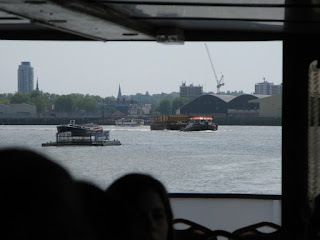 I t’s a hard slog on the Thames. G iving up isn’t allowed. H appy we’re making our ancestors proud. T ogather as a union we strike for more money. E vening, morning and afternoon we work hard. R unning up and down the river. M en don’t have time to shiver. E ven the cold knows that. N ever underestimate the power of lightermen. One of my classmates said that she learnt how to control the camera. Sav and Matthew taught us a phrase called WAFFLE/ WIFFLE. She said that ‘W’ stands for white balance. ‘I’ stands for iris which is the brightness of the image. ‘F’ stands for focus. The other ’F’ stands for framing for right space and size. ‘LE’ stands for level of sound and it can’t be too loud or too low. They said it was very fun and there was nothing boring about it. The ’A’ stands for Aperture which is the same as the Iris. On Tuesday the 9th of June, as part of our New History topic, some Year 6 went to the Maritime Museum in Greenwich. We went there to gather further information about lightermen and watermen. A curator from the museum met us in the Museum’s gallery and spoke to us about lightermen and watermen. He showed us a panoramic picture, where he pointed and explained to us the different enemies in the river. He talked to us about docks and what Dockers did when a big boat arrived to the dock. After we met the man, we went around the museum learning lots of things. We looked to different small boats and different pictures of the River Thames. Then we saw a lot of the merchandise and cargo that the big boats brought from different parts of the world. The thing that I most enjoyed was when we saw the different types of clothing, which people in a boat wore. The Dock of St Katherine was getting small for the big boats that arrived so it had to close down. The only dock left now is the Dock of Tilbury. 16% of the lightermen were press ganged. taken to a man called John Rome was press ganged and the Royal Navy. We went with the school to the museum of Docklands. At the Docklands we saw a large boat and we were surprised about how big it was. We met the son of a former lighter man called Peter Daniel. We acted out a play script about lightermen But we were not allowed to speak. My group(Me , Alfie, Josh and Fabian. )In the play we rescued the soldiers at the beaches of Dunkirk. We went around the museum and we saw models of the boats and docks. I learnt that the first bridge that was ever made was London Bridge. Also I learnt that Henry VIII was the founder of Watermen and Lightermen. In 1972 there was a strike because Watermen and Lightermen didn’t earn enough money, to afford any food for their family. Canary Wharf has started to be built. But I know that that place is going to be for Banking Business, and I don’t know anything about banking; I’m a manual worker. I would like to get rid of containers if we could, because people think it's easier, to just put the cargo in a container, and then in a lorry and it's gone. Docks are worse. The big boats arrive there and then the only thing you have to do is just transfer the merchandise to the factory that is just next door. If we could get rid of them, we would get our jobs back. On Thursday 4th of June Sav visited Westminster Cathedral Primary School and talked to us about our new history project on Lightermen.This is the first time our school has learnt about this part of history. 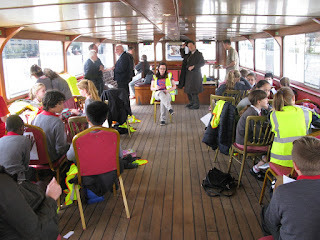 I was very excited to learn all about lightermen and the important role they played in the history of the Thames. 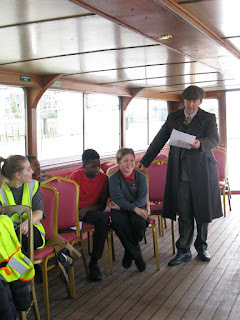 Before our trip to the Thames we went to Waterman’s Hall and an actor was pretending to be a Lighterman talking about what it was like to be a Lighterman and what the apprentice's exam was like. We saw the great golden chair which the master would sit in. We all then took the lightermen’s pledge. There were paintings and another gold chair in the corner. After playing that game we went back up to the top to learn how to tie knots like the lightermen did. When we did the knots we had groups that had turns to go to the back of the boat and see what it looked like and we could see other boats and we could also see other buildings around us. With the fantastic news that the Heritage Lottery Fund have agreed to fund the oral history of the Lightermen project, we are hard at work getting it all underway. 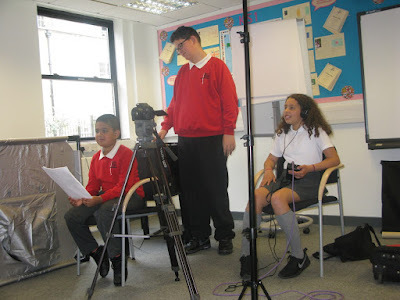 Children from the two primary schools involved in this project, St George the Martry and Westminster Cathedral will soon be taking over updating this blog, but for now digital-works will do it. 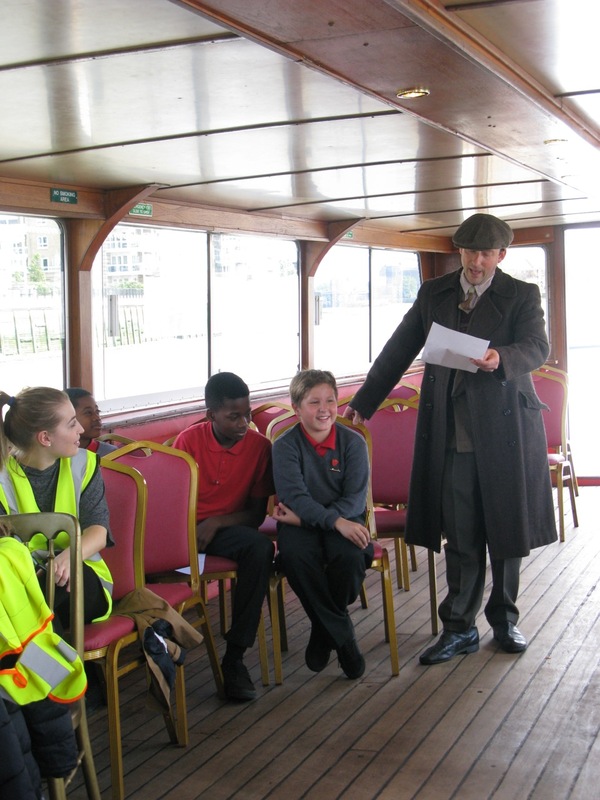 So, we now have in place visits to the Museum of London, a trip on the river for both schools with an actor playing a lighterman from the 1920s, and then plenty of lightermen on hand to teach the children some skills and to talk to them about their own history. The boat trip will be preceded by a trip to Waterman's Hall which has been central to the trade for hundreds of years. Age-Exchange will be running the Reminiscence Group to get lightermen together to discuss their history. The first session will be at Watermans Hall itself on Monday June 1st from 10.30am to 1pm. 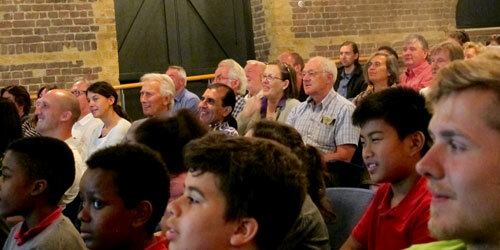 Subsequent sessions will be at Age-Exchange in Blackheath on Tuesday 9th and 16th June in the afternoons. 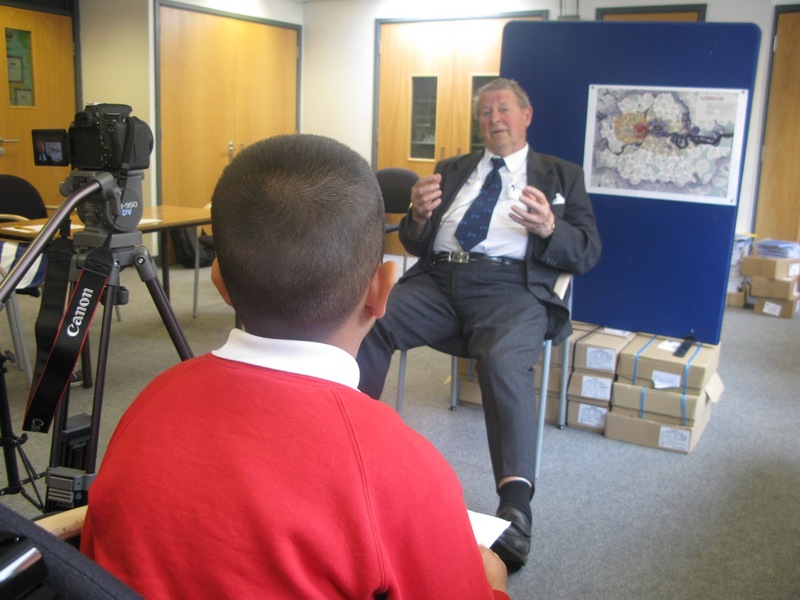 After their initial research and training the children will be writing poems and about the history of the Lightermen and also undertaking film and oral history training. They will then go on to interview Lightermen on camera. Watch this space for more news as the project develops.